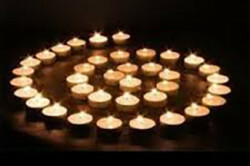 Centering Prayer sessions are held weekly. On the 1st and 3rd Tuesdays of each month it is held from 1-2pm and then on the 2nd and 4th Tuesday each month it will be held in the evening. If there is a 5th Tuesday in a month, it will be held from 1-2pm. If lunch is being served at our Center on this day, you are welcome to arrive at noon and purchase a meal ticket too ($10). Please call us at 410-442-3120 to let our staff know that you’d like to purchase lunch.